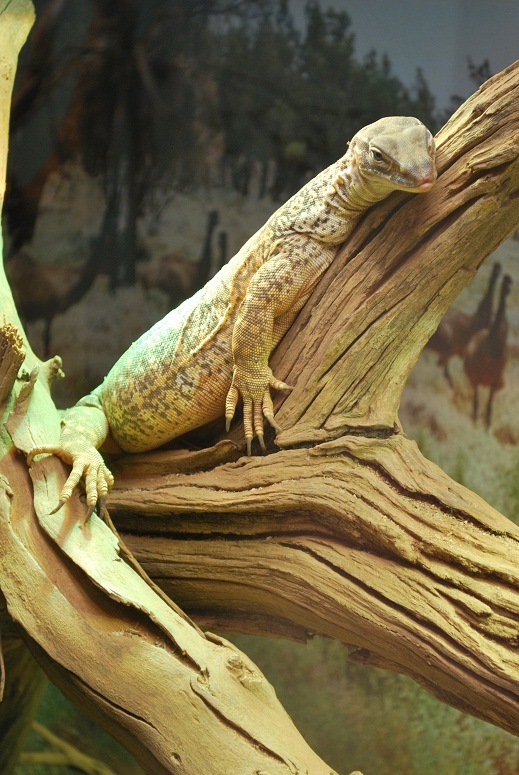 Varanus gouldii or Sand goanna covers around 80% of the continent. It's a medium sized Monitor average size is 160cm in total length. As the name suggests it lives in the sandy areas and grasslands is most active in earlier parts of morning and late afternoon taking shelter during the hottest parts of the day in self dug or rabbit burrows. Juveniles feed on insects and smaller lizards and gradually eat larger prey as it grows including carrion (dead animals).